dolly (for m.a.) 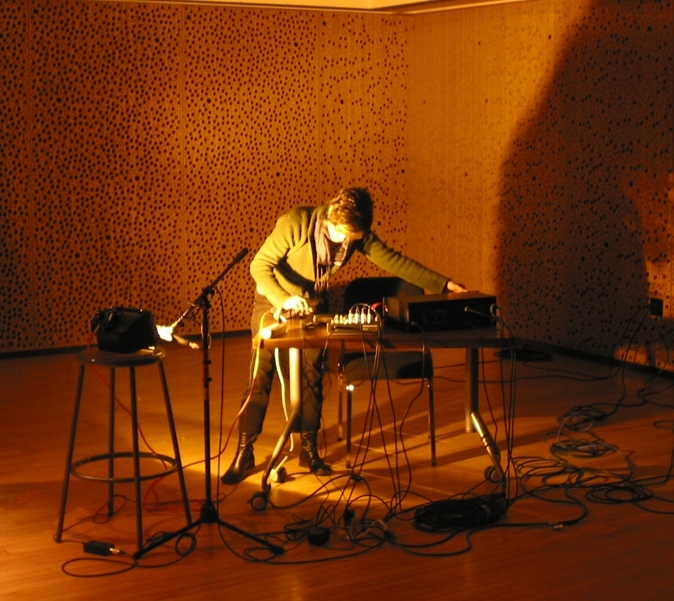 by lyn goeringer is a set of three sound experiments. the two i've got streaming here are pretty interesting. 'iris' is an improvisation for a homemade electronic instrument, called the 'HIDden', made out of street lamp parts. it is a long form textured drone. the second piece, 'shuffle', brings together that technique with multi-tracked modular synths and field recordings of a curling match. listening to the full album in sequence, the techniques of each track build up to the sum of the final piece. this is music, more accurately sound art, that is focused on the phenomenology of sound itself. it challenges the listener to hear the worlds of change that the artist hears in these sustained tones, beats and samples. it might not be easy.